Version 1.1, is under development. Comments, suggestions, contributions, etc, are welcomed. 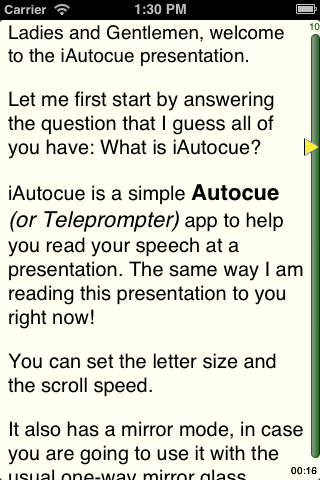 A simple Autocue (or Teleprompter) app to help you read your speech at a presentation. 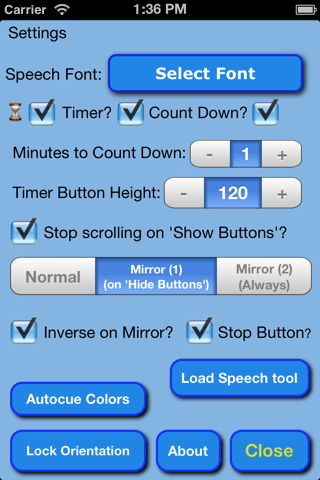 It also has a mirror mode, in case you are goint to use it with the usual one-way mirror glass. (like Dropbox, Google Drive, etc). 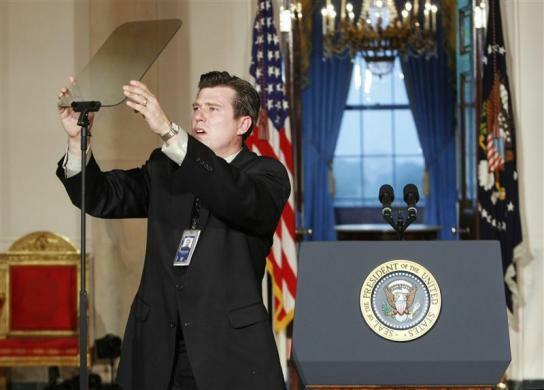 Note #1: iPod, iPhone & iPad native support. Info, comments, help, suggestions: iphone (at) gik.gr (very important: Use as subject: "iAutocue" otherwise the spam filter will reject it) ... or just use this communication form.